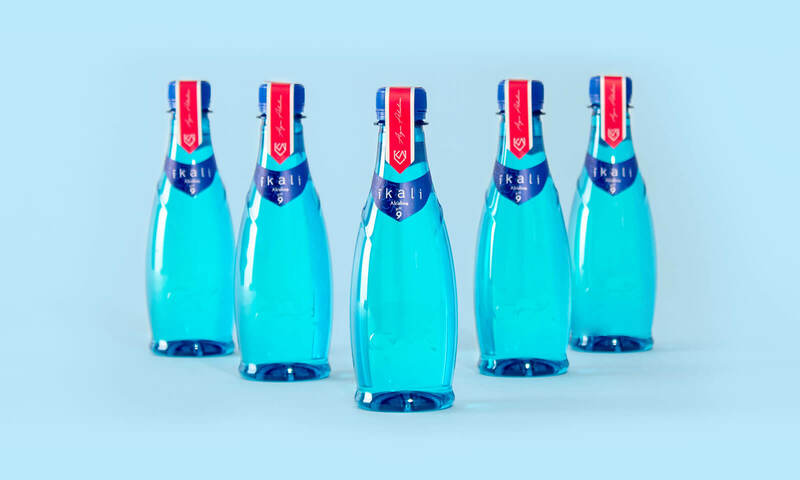 Íkali is a new proposal for pH 9 alkaline water. Being a high-end product, its sale is limited to prestigious restaurants. To develop a graphic identity that strongly proclaims the product properties and, at the same time, suggests exclusivity. For Íkali, we decided to go minimal. So, unlike commercial brands, we designed two stylized labels; one that contains the basic information, and another one that functions as a guarantee stamp. As for the logo, we selected a widely-spaced Serif typeface. Both the shield that comes with it and the pattern used in the label, incorporate letters from the name.